Professor Shiller characterizes investment banking by contrasting it to consulting, commercial banking, and securities trading. Then, in order to see the essence of investment banking, he reviews some of the principles that John Whitehead, the former chairman of Goldman Sachs, has formulated. These principles are the basis for a discussion of the substantial power that investment bankers have, and their role in society. Government regulation of these powerful investment banks has been a thorny issue for many years, and especially so now since they played a significant role in world financial crisis of the 2000s. The second half of the lecture is a guest lecture by Jon Fougner, a former student in ECON 252 from a decade ago, who has since worked for Goldman Sachs and currently works for Facebook. Mr. Fougner discusses his experiences working at the junior level in investment banking and offers advice to current students about steps to take if they are considering investment banking as a career. Subsequently, he elaborates on his current role in the technology industry. In the concluding questions-and-answers session, he shares, among other topics, his views about a start-up initiative by Peter Thiel (a board member at Facebook) and compares the corporate cultures of Goldman Sachs and Facebook. Professor Robert Shiller: All right. Now, are we in order? OK. All right. Today, we want to talk about investment banking, which is different from commercial banking. And today we have a guest, Jon Fougner, who took this course almost 10 years ago and has been working in investment banking since. I’ll introduce him in a few minutes, but I wanted to start with just the elements of investment banking, and then I wanted to talk about changes in it that came about after the financial crisis of 2007 through 2009. OK. The topic is investment banking. And that is a term, a 20th-century term, that first became big and important, I’d say, in the 1930s, but preceded that by some years. And it refers to a business of helping other businesses create securities. If someone wants to issue stock, they go to an investment banker to help them. Or if you want issue bonds, you go to an investment banker. It can be a corporation that goes to the–for-profit, it can be a non-profit corporation, it can be a government. I suppose even an individual, who is incorporated, can go to an investment bank. That’s the investment banking business. Now it differs–it shares something with the consulting business, because investment bankers serve often as consultants. A company will come to an investment banker with a problem, and they want to raise money by issuing new shares, for example, to solve that problem. But if it’s a good investment bank, they will do more than just issue shares for them. They’ll talk about their whole corporate strategy. So, in that sense, an investment bank looks like a consulting firm, but they don’t do pure consulting. That makes the distinction. Maybe, they’re in many ways a favored consultant, because they bring money, all right? You can talk to a consultant, who will bring you no money, and another consultant, who has his hands on money somewhere. And that helps a lot. The advice and the money together help a lot. So, investment bankers are different from traders, because usually they deal with creating something–about making a corporation or a government–making it work, enabling them to do something that they want to do. And then, being realistic about it, and coming up with the money to do it. And so, that’s how investment banking differs from consulting [correction: trading]. And it differs from commercial banking in that a pure investment bank does not accept deposits. You can’t go to your investment bank and say, I’d like to open a savings account. They don’t do it, OK? I’m talking about a pure investment bank. But let me just give you something about this business. I’m going to come in a moment to point out that most investment banking businesses are not pure investment banks. But let’s talk about what a pure investment bank does. It does underwriting of securities. That means–suppose you’re a company and you want to issue shares. You need someone to go to bat for you, someone who knows the kind of people who might buy your shares, and can vouch for you. So in some sense, it’s a reputation thing. The investment bank has contacts among people who make big investments, and they manage the issuance of your new shares, and that’s called an underwriting. If it’s the first time you’ve issued shares, it’s called an IPO, or initial public offering. So, you’re a private company, it’s just you and a few friends own the company, but now you want to go public, you would generally go to an investment bank, and talk to them about how to do it. And the investment bank would solve that problem for you by doing an underwriting. So, traditionally there’s two kinds of underwriting. Also, there’s also something called a seasoned offering, and that means, for a company that has already gone public, and it already has shares traded, so that the shares are seasoned, but you want to issue more shares. So, you can go to an investment bank to do that, as well. OK.
There’s two kinds of deals. There’s a bought deal, and then there’s a best efforts. With a bought deal, the investment bank buys your shares. They go in and say, you know, we know that we can get market for your shares. We will buy them ourselves and resell them on the market. A best efforts offering is one where the investment bank doesn’t buy it and doesn’t promise anything. They say, we’ll make our best efforts to place this offering, OK? So, those are the basic things that they do. The methods that they use are regulated by the Securities and Exchange Commission in order to make–the SEC in the United States, and regulated similarly in other countries. So, that’s the basic investment banking business. So, if you’re thinking of where to place yourself, I think investment banking suits very well people who are–it’s not good for autistic people. If you’re autistic, be a trader, OK? Then, you just get on the phone, and you buy and sell all day, and you can be rude, and you can have coffee stains on your shirt, and you don’t have to know anything about classical music. OK? But investment bankers are a different–I see Jon is laughing. Tell me, what you know about classical music. I assume that was a part of your training at Goldman. He says no. It’s a whole different industry. So, if you go to the symphony and look around, you’ll see lots of investment bankers there. But you won’t see any traders. You nod on that [POINTING AT JON FOUGNER], maybe. We talked about moral hazard. I think that an important part of what investment banks do is, solve a moral hazard problem. And that problem is, that companies, who issue shares, don’t have a reputation. And so, what do I care, I’ll issue shares, right before we’re going to go bankrupt, OK? We know inside that we’re going to go bankrupt, so hey, let’s just see, if we can milk this company, before the public knows it, and issue shares. That’s a moral hazard. And the investment bank is in business to prevent that moral hazard. They do the due diligence, they check you out, and then after that, people are more trusting of you. So, I think investment banking is built around trust, it’s establishing trust. So, that’s how it differs from a lot of–that’s why it’s important that these people be cultivated and impressive. They tend to be well-spoken. I can ask Jon, whether he agrees on all this, but it’s my impression, you can tell when the investment bankers walk in the room. They dress differently, they look differently. I don’t know what it is. It’s something about reputation, it’s what it’s built around. The investment banking industry–let me just–since I’m talking about the nature of investment banking and since we have a Goldman Sachs representative here. I put on your reading list a book as an optional reading by Charles Ellis called The Partnership, and it’s a history of Goldman Sachs. Goldman Sachs was an investment bank until just very recently, and we’ll talk about that. They’re still in the investment banking business, but now they’re officially a commercial bank. It’s an old, venerable firm, and Goldman Sachs emerged in the early 21st century as, I think, the most highly respected and esteemed investment bank in the world. Amazingly successful, and amazingly well-respected. Ellis wrote a book just a few years–Ellis is on the Yale Corporation. He’s a distinguished businessmen and author himself, and he wrote a book about Goldman Sachs, which is largely admiring. Like, how did this happen? How did this phenomenon of Goldman Sachs come about? And I suggested–I didn’t assign–I suggested, you read one chapter, was called Principles. And it says something about Goldman Sachs, and it refers to, in that chapter, the chairman of Goldman Sachs, John Whitehead, in the 1970s wrote down a list of principles that guide Goldman Sachs. And Ellis seems admiring of these principles. Not everyone would agree. It’s a matter of taste, I guess, if anything. Whitehead is now–I just looked it up–he’s 88 years old, and is retired from Goldman, must have retired some years ago. What kind of an organization? Ellis says, that the thing that struck him about the organization is loyalty. But that’s not alone, that people feel a strong loyalty toward their company. That’s not on Whitehead’s list. So, Whitehead’s list. What is his first principle of Goldman Sachs? “Our client’s interests always come first.” These sound a little bit like bromides. I’m sorry, but I read them thinking, it is the most successful investment bank in the world, so maybe there’s something beyond–I think, there is something beyond platitudes here. Second, “our assets are people, capital, and reputation.” That’s a coincident with what I said. “Uncompromising determination to achieve excellence.” Well, everybody says that, so maybe discount that. “We stress creativity and imagination.” Well, those are sort of bromides, maybe. Then, Whitehead issued some guidelines–this is also in that chapter later–for Goldman Sachs employees, and these seem to be a little bit more candid. ”The boss usually decides, not the assistant treasurer. Do you know the boss?” That’s sort of something I’ve learned from my own interaction with people–the boss really does decide, and Goldman Sachs goes for the top. And maybe this is obnoxious, I don’t know–they don’t want to talk with underlings.”You never learn anything when you’re talking.” That means, be a good listener. ”The respect of one person is worth more than the acquaintance with 100.” ”There’s nothing worse than an unhappy client.” The one thing that–I don’t if it’s on Whitehead’s list–but I think it really says something about investment banking, and that Ellis says, is that they shun publicity. They don’t want to be in the newspaper, they want to be known by the president. They want to be known by a few prominent people. They’re kind of social climbers, in a way. But it’s all built around some basic principles of service, and they want to be talking to the top guy, and they don’t want to be in the newspaper. So, I’m giving you a flavor of what an investment bank is. You might be repelled by it. You know, is making money so important? And if you are repelled by it, you probably don’t want to work for Goldman Sachs. On the other hand, they’re kind of respecting some economic principles, right? Working for a firm like this, you can make huge amounts of money, and then at the end, you can give it all away to charity. And that’s the new capitalism, right? So, what’s wrong with that? What are you going to do with all this? If you make $100 million, what are you going to do with it? You’re going to give it away, right? I mentioned at the beginning, I mentioned Andrew Carnegie’s book, The Gospel of Wealth. Maybe that’s what this is all about. On the other hand, some of them don’t give it away, and some of them live lavishly. Different people have different impressions of this business. But I want to make sure I have time for our guest and I’m sort of running out of time. I wanted to talk about what has happened in the crisis. There’s so much to say about this topic. Maybe, I should talk first about the first crisis. In 1933, the U.S. Congress passed the Glass-Stegall Act, which forced investment banks–it prevented investment banks from doing commercial banking, or commercial banks from doing investment banking. It split them in two, and it said you have to decide, are you a commercial back, or are you an investment bank? The Glass-Steagall Act was the act that created the FDIC, the Federal Deposit Insurance Corporation, the first successful national deposit insurance act in the world. And part of it–it makes sense–if you’re going to insure the commercial banks, you better watch what they’re doing and prevent them from doing dangerous business. So, the dangerous business was investment banking, and they forced companies to decide. So, J.P. Morgan, which was doing both investment banking and commercial banking in 1933 had to decide. What is it? Investment banking or commercial banking? So, they picked commercial banking, and that means they fired all their investment bankers. So, these guys regrouped and they formed an investment bank, called Morgan Stanley. [Harold] Stanley was a Yale graduate and [Henry S.] Morgan was, I think–not J.P. Morgan, it was his grandson. Morgan died around 1911 [Correction: 1913]. And so, those were two separate one. J.P. Morgan, commercial bank. Morgan Stanley, investment bank. But since then, we’ve repealed the Glass-Steagall Act, and that occurred with the Gramm-Leach Act [correction: Gramm-Leach-Bliley Act] of–what was that–1999. Well, Gramm-Leach[-Bliley] repealed Glass-Steagall, and now these businesses, they generally do the same business, both commercial and–yes, Gramm-Leach[-Bliley] was 1999. OK. Since then, as you recall, we’ve had a financial crisis. And in that financial crisis, Glass-Steagall got brought up again, because it seemed that the crisis was related to a number of shenanigans that firms were undertaking. And the government had to bail out commercial banks. We talked about this, and it’s very controversial. So, the question is, did these banks get in trouble because we repealed Glass-Steagall? A lot of people came on saying that. These banks were doing all kinds of screwy things that were dangerous, and we’re insuring them, so it can’t be. So, a lot of people said, we have to go back. There was some inherent wisdom in Glass-Steagall that we’ve lost. And this was debated. Now incidentally–I didn’t mention this–Glass-Steagall was somehow confined to the United States. Outside of the United States, I don’t know if there was any country, but as far as I know, U.S. was the only one that did it. So, outside of the United States they had what was called universal banking. And these banks outside of the U.S. were doing both investment banking and commercial banking. They sailed right through the whole century without being divided up. So, the reason why we got Gramm-Leach[-Bliley] was, that people started to say, you know, we’re at a competitive disadvantage. We Americans are at a competitive disadvantage to Europe, because we can’t do both, and they have more freedom than we. And so eventually, in 1999, we said, they could do both, so that U.S. also became a universal banking country. But then problems arose. And the problems were–Paul Volcker, who was chairman of the Federal Reserve Board in the late ’70s, early ’80s, proposed something called the Volcker Rule. And the Volcker Rule was not a full return to Glass-Steagall, but–and this is now in the Dodd-Frank Act. It’s Section 619. It doesn’t say Volcker Rule there, but that’s what it is, and it prohibits proprietary trading at commercial banks. And it also says, that commercial banks can’t own hedge funds or private equity [addition: private equity funds]. So, that was the Volcker Rule that was put in. There was also another rule added, which is analogous to the Dodd-Frank Act [correction: analogous to the Volcker Rule], also. And this is in the Dodd-Frank Act of 2010. There was a senator. Her name was Blanche Lincoln, a Democrat from Arkansas, who proposed the Lincoln Rule. Unrelated to Abraham Lincoln, as far as I know. And the Lincoln Rule was–Lincoln Amendment, and that is Section 716 of Dodd-Frank. It says that–doesn’t prohibit banks dealing in swaps, but it said swap dealers barred access to Fed window, discount window. And so effectively, it prevents banks from dealing in swaps anymore. As a result of this, Goldman Sachs has got to shut down–or it appears that–the Volcker Rule says banks have until October 2011 to comply. So, it means that Goldman Sachs has to shut down–Goldman Sachs had to become a commercial bank, too, so it’s no longer–it’s an official commercial bank now. And because of the Volcker Rule, it appears that it has to shut down its proprietary trading, which was a huge part of its profits. And Goldman Sachs will never be the same again, apparently. But it’s not clear what will happen. It depends all on how Dodd-Frank is enforced. I think that the people that are in the banking industry are going to try to claim, that some of the activity that was done by their proprietary traders–that is, people who were trading the market on–true investment banking shouldn’t involve the investment banker buying and selling securities trying to make a profit. That’s not underwriting of securities, that’s proprietary trading. Volcker Rule says that you pretty much can’t do it anymore, unless you’re a pure investment bank, but if you’re a commercial bank, you can’t do it anymore, and they’re kind of forced to become a commercial bank. But they’re going to try to steer around these rules, and I think that maybe they can. They’ll re-define something that looks something like proprietary trading, and then continue to do what they’re doing. We’ll have to see. These things are long and arduous. You know, one thing that strikes me about finance is, that it’s so rules-based. There are so many laws, there are so many lawyers, that nobody can grasp the magnitude of the regulations that these people live under. And you see these landmark bills, but none of us understands them, because the real content of them is involved in hundreds of pages of legal documents, that never cease to amaze me with their complexity. Let me tell you something about shadow banking, which is relevant here. The term shadow banking, I think of that as coming from a term that I first heard from people at Pimco just within the last five years or so. Or maybe it goes back further than that. It refers to a new kind of semi-banking system. What are shadow banks? These are companies that are acting like commercial banks, but they’re technically not. So, they’re not regulated as commercial banks. And in many cases, the investment banks were shadow banks. I’ll give you an example of Lehman Brothers, which was a pure investment bank. It’s now bankrupt, it’s gone. It was a pure investment bank, so it wasn’t regulated as a commercial bank. This was before the Volcker rule, before Dodd-Frank, and they went bankrupt in 2008, and it was the worst moment in the financial crisis. Why did they go bankrupt? Well, there’s a reading I have on your reading list by Professor Gary Gorton here at Yale, who argues that Lehman, like many other investment banks, was financing a lot of proprietary investments by issuing repos, or by dealing in repos. What is a repo? That’s short for repurchase agreement. The banking crisis, that we saw in 2008, was substantially a run on the repo. So, here’s what happened, according to Gorton and others who agree with him. Investment banks, like Lehman Brothers, were not regulated like commercial banks, and as long as they didn’t accept deposits, they didn’t have to be regulated as commercial banks. So, they could do what they want, and they were considered underwriters, so fine, do whatever you want. Well, not quite, but they weren’t heavily regulated, the way commercial banks were. And what Lehman Brothers started to do is, to make heavy investments in subprime securities and other securities by effectively borrowing through the repo market. What is the repo market? It’s a market, in which a company effectively borrows money by effectively selling some securities it owns with an agreement to repurchase the security at a later date. They’re short-term loans, in fact, collateralized by some security that they own. What it was, it almost the same as a deposit. They were short-term loans that someone could withdraw at any time. The someone wouldn’t be some mother and father with their small savings account. It would be some bigger, probably institutional investor. But these were acting like banks, like commercial banks, because there could be a run on these banks the same way there’s a run on a commercial banks. If anyone starts fearing that Lehman Brothers is going to fail, they all want to take their money out, which means, they don’t renew their repos. And so Lehman Brothers failed, when the housing market declined, the value of its subprime securities declined. People who were lending it money through repos, got wind of this, and they stopped wanting to do it, so it was like a run on Lehman Brothers. And Lehman Brothers could not be saved, if it weren’t for a bailout. The government had already bailed out Bear Sterns, and it had helped Merrill Lynch, which was failing as well, and they decided not to bail everybody out, so they let Lehman Brothers fail. So now, the reaction to that is, that we can’t let shadow banking go unregulated, and Dodd-Frank is part of that reaction. So now, investment banking is substantially altered by these laws. And still, of course, it’s a very important business. The United States has traditionally been the most important country in investment banking, but it continues that Europe and Asia are also important, very important participants in investment banking. Growing, I think. The financial crisis has put something of a damper on the business for a while, but I think, it seems to be coming back. The latest news is, that the investment banking business is starting to look more stable and prosperous. So, what I want to do now is invite–let me just do a brief introduction. So, Jon Fougner took this class, I think it was 2002, and then he served as my research assistant for a book I was writing, called The New Financial Order, so I got to know him better. The important thing for this lecture is, that you worked for Goldman Sachs, and got to know people there, and now is working for Facebook. You’ve heard of this company, right? I thought it would be interesting to have him back to give his impressions of what life was like after ECON 252, of what Goldman Sachs was like–at least the old Goldman Sachs. And I think, it’s interesting to hear about Facebook, too, because it’s a different kind of culture, and I’m interested in culture. It’s more of a tech business. I’m interested to hear, if they have anything like the Goldman Sachs principles, or they enunciate them the same way. So, I’ll bring Jon up, and I’ll let him continue. Jon Fougner: Very well. Thank you Professor Shiller. And Professor Shiller has promised, that I’ll be well-spoken, and well-dressed, and a bunch of other things, good, bad, or otherwise. I’m not sure, if I’ll live up to any of those expectations, but hopefully can share a little bit about this business. How many of you are considering going into investment banking? Maybe about 30%, or so. OK. And how many of you are on Facebook? OK. And how many of you are considering working at Facebook? OK, so maybe we’ll add a few more to that by the end of this. Goal for the next half hour is really to help you think about, whether banking might be the right next step for you after college, and for those of you who say yes, to share a few tips on how to think about getting into the business. I’ll give a little bit of my background, kind of a context for my reflections on the industry, so you can take them with a grain of salt, share some anecdotes from banking during the debt boom, and then also give a few tips, or steps that you could take today, if you’re interested in it. So, a little bit on my background. Junior summer, I went to work for a large investment bank, as Professor Shiller mentioned, and I really enjoyed the work, knew that I wanted to go back to it. But I had never lived abroad, because, as you all know, your junior year here at Yale, there’s a lot going on with extracurriculars, and so many people don’t go abroad. I went to see Charles Hill–now how many folks are familiar with Charles Hill? Fabulous negotiator. And I said, Professor Hill, how can I negotiate to go back to this job a year later, so I can do a Fulbright in the meantime? So, he taught me all this jiu-jitsu, and it ended up working out, and I did a year in Norway, and then came back full time to banking. Now, as you probably know, a lot of analysts go into banking, they do it for two years, maybe do private equity, hedge fund, maybe do an MBA afterwards, and something like 15% might stay on, get promoted, and become career-track bankers. When I was working on Wall Street, this was the peak of the most recent private equity boom and the associated debt boom. And so, recruiting to private equity had reached such a fever pitch, that literally 16 months before the start date for these jobs, analysts were getting calls from recruiters, doing interviews, and actually making commitments to joining companies. And I knew I was interested in tech, and so I became very close to signing with a technology private equity fund, that I admire still very much to this day, but I actually decided that I wanted to work in tech itself, and so the last three and a half years, as you mentioned, I’ve been working at Facebook working on our social advertisement strategy. So, a little bit about inside the banking role. It may sound a little bit funny to talk about the investment banking division of an investment bank, but that’s what we’ll do for the next 15 minutes. And by that, I really mean, just the part of the business that Professor Shiller mentioned, giving advice to CEOs and CFOs about financing, and mergers and acquisitions. Professor Robert Shiller: They don’t understand that. That’s an Excel logo. Jon Fougner: That’s an Excel logo. Professor Robert Shiller: What are you driving at? Jon Fougner: That’s an Excel logo, and these are Excel models, and they go on and on. Professor Robert Shiller: You mean, they’re going to be a nerd. Is that what you’re saying? Jon Fougner: Yes, if by that you mean you want to feel comfortable with the technical aspect of the role, yes, absolutely. Especially at the junior level, where–you mentioned some of the relationship aspects of banking, but at the junior level, really your core responsibility is building out these models. So, if you think about working on that until 4 in the morning maybe two nights in a row, maybe 20 nights in a row, and that’s exciting to you, that’s a good sign. So, how many of you have gone online to Open Yale to see Stephen Schwarzman’s talk from this class from three years ago? One, two. Two enterprising users of the Internet. I would strongly encourage everyone to do that. One of the things, that he talks about is that in banking, there’s not a ton of flexibility for getting the numbers wrong. As the analyst, you really need to nail the details. And primarily, what we’re talking about there, is building operating transaction and valuation models that describe your clients, and other companies, and their industry. And then, the information from those models, along with research you find by hook and by crook on the internet, from your colleagues, wherever you can, kind of comes together into presentations, polished pitch books to help win a piece of business. So, that could be an IPO, a merger advisory, as you mentioned, and once you’ve won that piece of business, then you as the analyst really are the organizing principal for getting this deal across the finish line. Dealing with the accountants, working with the lawyers, other bankers, even competitors who might also be working on the deal, and then, of course, your client, and whichever counter-party your client is selling to or buying from. So, it’s a fair amount of responsibility. Typical investment banking deal team, the core team is pretty lean. Maybe one each of an analyst, associate VP, and MD, and if you decide to and are given the opportunity to continue working in investment banking on a career basis, then you will gain a little bit more control over your week to week and month to month schedule as you become more senior. But even at a senior level, investment banking is really considered an always on-call client service profession. Now, one of the advantages of this very lean deal team is, that there’s plenty of responsibility to go around. So, if you raise your hand and say, yes, I can take on some of this work, that might by default fall to some of my associate, and you do it without making mistakes, you’re going to be able to get more and more responsibility, learn more and more on the job. One of my favorite projects that I worked on was a proposed venture capital transaction, where we were looking at investing in eight different operating companies, and because the team was that lean, I was actually able to basically take on leading the due diligence on these eight different companies. Professor Robert Shiller: Before you go ahead, why do the managing directors have zero grey hairs? Jon Fougner: Well, I’m just assuming it’s all gone by then. That’s a median, the mean might be a little bit higher. High variance. So, I would–was that the nerdy comment you were looking for? So, I might encourage you to think about these roles as an investment in your career, where what you put in, of course, is long hours–maybe 100 hours a week for a couple of years–and what you get out, is a number of things, including a skill set that’s really valued and respected, not just in finance, but around the business world, exposures to CFOs and how they think about problems. If you decide to continue on as a career banker, participation and success that you’ll help create for your company. And then, of course, a network of very smart, eager peers, like the folks in this room, who then fan out across the finance industry. So, as I mentioned, I was in banking during the debt boom, and there was such a peak in transaction that people started calling it Merger Monday, this expectation that before the bell at the beginning of the week, there’d be a 20 billion, or 30 billion, $40 billion transaction that would be announced. And there was so much enthusiasm for this sort of transaction that even financial institutions, which, conventional wisdom told us, couldn’t be LBO’ed [clarification: LBO stands for leveraged buyout], because their balance sheets were already so levered, actually became considered targets for leveraged buyouts. And arguably the peak of this was, when Blackstone themselves, one of the fathers of the buyout industry, filed an S1, and in fact became a publicly traded company, which they are to this day. Your final task as a banking analyst is to create a deal toy, when you successfully created a transaction. Now, this particular one used to have water in it and glittering fish, and at the time I thought it was very pretty, but I would just invite you maybe, when you create your deals toys, don’t picture your client swimming with the fishes. Not the best idea. And then, this is a safe for a bank, which, of course, is logical, safes are in a bank. But this is actually an especially fun toy, because you pull this handle here, and then actually this one opens up. That was my idea of fun when I was a banker, so you again should take it with a grain of salt. This is a snow globe–you shake it upside down, which is a lot of fun, as well. But again, just in terms of the metaphor, and I have only myself blame–maybe I was sleep deprived–I guess, maybe don’t show your client’s capital structure literally underwater, when you design your deal toys. Professor Robert Shiller: Are you saying that investment bankers have a childish side? You say, deal toys. I was presenting them as going to the symphony. What are you presenting them as? Jon Fougner: I can’t claim, I ever made it to the symphony, when I was an analyst, but a number of my colleagues were on the boards, involved philanthropically with those organizations. But yes, I think that we have this creative energy and creative spirit. I think, there’s a lot of creativity in finance that, as Stephen Schwarzman mentioned in his talk, at the senior levels, when you’re dreaming how to combine companies, how to finance companies, how to deal with new regulation, as you mentioned. But at the analyst level, maybe not quite as much. So maybe, there is that creative spark, that’s just trying to find its way out, one mischievous way or another. But anyway, this was the landscape, when I left banking. That was September 2007. And then six months after that, as Professor Shiller mentioned, Bear Sterns sold in a fire sale to J.P. Morgan, and then six months after that, September 2008, we saw Merrill Lynch narrowly avert liquidation, become the asset management brand of Bank of America, which it still is today. That same week, Lehman Brothers collapsed under the weight of those mortgages, suffered a bank run, and was not bailed out, was liquidated, some of their investment banking capital markets assets sold to Barclays in bankruptcy. A week after that, what a lot of people thought would never happen, did happen, and Goldman Sachs and Morgan Stanley went to the Federal Reserve, asked to become commercial banks, which technically they still are today, as Professor Shiller mentioned. Now, that having been said, if you take Charles Gasparino’s account of this era, this was the end of an era for Wall Street. That having been said, investment banking continued at firms all around the world, some of these diversified conglomerates, and also at a burgeoning slate of so-called independent advisory shops. So, these are folks like Evercore, Lazard, Greenhill. And if you’re interested in learning about finance, investment banking is not the only way to get into it. There are also, for example, the so-called alternative asset managers, private equity hedge funds. Folks like KKR, Carlyle, Bridgewater, who I believe still recruits here on campus. And then, out where I live in California, you have the heart of the venture capital industry, especially around the information technology industry. So, folks like Kleiner, Sequoia, Benchmark. They may not be recruiting on campus, and they may not even be open to hiring undergraduates, but some of their competitors are. So, if that’s interesting to you, maybe we’ll just touch on a few steps that you can take today. Obviously, you’re already doing plenty of this, without anyone having to remind you. Things like taking the right classes, doing well in them, researching the firms you want to apply to. Just three that I’ll touch on. Taking advantage of the incredible resource you have in the professors here today, which you really don’t want to take for granted. Learning a little bit about yourself–and I know that sounds touchy-feely, but I’ll give a couple specifics around that. And then, of course, there’s no substitute for trying this hands-on to see whether it suits you. So, this is pretty much exactly as I remember John Geanakoplos–genius mad scientist. You can find him on Open Yale now, and if you have not yet taken his class, and it’s offered next year, I would strongly recommend that you do so. David Swensen, I understand you’ve had the distinct pleasure of hearing from already, the most successful endowment manager ever, the reason that we get to have nice things here at Yale. And I just keep coming back time and again to Pioneering Portfolio Management, the bedrock of core investing principles that he articulates in that book. Even if you never become an institutional investor and are only thinking as a retail investor, it’s still incredibly useful stuff. And he does teach a senior seminar. And then, in addition to this class, as you probably know, Professor Shiller has a graduate seminar, which I think you have promised to let students apply to, to get into to. Professor Robert Shiller: Yes, I had about eight last semester. Jon Fougner: OK. And how did they do? Professor Robert Shiller: That’s an embarrassing thing. They did pretty well, against our graduate students. I won’t rank them. Embarrassing to our graduate students. Jon Fougner: But flattering to all of you. As Professor Shiller mentioned, I got to work a little bit on The New Financial Order as an undergraduate, and I just still consider it such a rewarding experience, because the tenets that you talk about in this book, around how finance can be a technology for societal innovation, everything from the micro level of personal income insurance to encourage people to take more risks early on in their careers, to the macro level of GDP insurance are some really visionary ideas. I, of course, remain dismayed that some of them have not been put into practice yet, but that really is an opportunity for all of you who are interested in Finance for Idealists [clarification: This is an alternative title for Professor Shiller’s book Finance and the Good Society whose preliminary version is assigned as a reading for the course.] to think about that as a potential career option. Other useful courses, of course, anything with math, probabilities, stats, econometrics, Excel modeling, especially using the three financial statements, computer science, computer programming is going to serve you well, not just in investment banking, which we’re talking about this morning, but also in those other aspects of financial services like trading. Now, kind of switching gears a little bit. How many you have either done Myers-Briggs or Strengths Finder? A few. Maybe 20–maybe 30% or so. So, these are tools that I think have become a little bit more popular in recent years, which are basically psychological inventories where you spend an hour answering multiple choice questions, then they literally spit out a profile of how you like to work. Obviously, there’s no right or wrong answers, they’re really just preferences. It’s a pretty modest investment of your time–maybe an hour each–to gain insight not just into what you’re good at, but also to helping you articulate to potential employers really what you can bring to the table. And then, of course, where the rubber meets the road, is actually applying for that internship or that job, and getting your foot in the door. Career Services on campus are a fabulous resource, but because of that they are very scarce resource, because almost everyone is using them. So, if you want to find jobs that don’t get 200 other Yale resumes coming in their front door, you want to look a little further afield. So, you’ve got things like lists of investment management firms, from Institutional Investors, American Banker, Hedge Fund Research. There are plenty of these lists. And I’d say, don’t be shy about cold calling, cold emailing, just kind of be persistent. We touched on professors here. I am incredibly grateful to Professor Shiller, Ray Fair, David Swensen, folks who have helped me in my career, even at this extremely early stage in my career, and it was really just because I asked. And I’d encourage you to do the same thing, because once you’ve left campus, it gets a lot harder to get that help. And then the alumni directory–how many folks have been using the alumni directory to reach out for jobs? Maybe 15%. I’d encourage you to do so, and all I would add to that is, think about what you share in common with the people you’re reaching out to, think about whether you can reciprocate the help that you’re asking for, even if that might not be obvious now, because they’re established in their career and you’re starting out. I had a student in this class reach out to me three weeks ago interested in advice, and I was happy to share that. And actually, he ended up being really helpful, helping me understand where you all are in your decision making process and your career right now. So, there are always ways that you can help, and you’ll find a much more welcome hand if you’re about to do that. And then lastly, recruiters. These large, so-called two and 20 funds, the alternative asset managers, typically use third party recruiters to find the talent that they want to interview. And they are typically targeting current banking analysts and associates, but there’s nothing to say that if you have a strong finance and technical background as an undergraduate, that you couldn’t actually get on their radar and try to use them for a placement. The only caveat I would add to that is, that you want to be really clear and confident when you speak to them about what is that you’re looking for. Because if you go in there waffling, asking them to sort of be your mentor and your career coach, they’re really not going to get that sense of confidence for you, and they’re not going to want to put you in front of one of their clients, who are the asset management firms. Professor Robert Shiller: We’re having questions in just a minute. Jon Fougner: Oh, great. Yes. Professor Robert Shiller: We’re going to open it up for questions in a minute, but go ahead and interpose. Student: It could probably also come at the end, I was just wondering, who is Keith Ferrazzi? Jon Fougner: How many folks are familiar with Keith Ferrazzi in the room? Some people are–their arms are getting tired. Maybe 20%. So, Keith was the youngest ever Fortune 500 CMO. And he’s a fellow Yalie, New York Times best-selling author, written a lot about the role that relationships play in business. And you hear this word networking, which, I think, all of us now get sort of a sort of unctuous feel around. It seems very, sort of, superficial and self-serving, and what he’s really helped elucidate is how the basic tenets of psychology–and in this respect, he reminds me of Professor Shiller–applying the basic tenets of psychology to how you actually build real, meaningful business relationships, and breaking down this artificial barrier between relationships and business. Because business is relationships. As Professor Shiller mentioned, one of the things that investment bankers try to do is, establish senior level relationships, because it’s ultimately individuals, not entire companies, who are making decisions. So, just to share a couple of anecdotes about my transition from banking, after banking, as I said, I knew I wanted to work in tech, and I very fortuitously got a phone call from a lifelong friend of mine around that time, who was an engineer who had started working at Facebook. And what he convinced me was, that I could help him and his colleagues change how people communicate. I was pretty sort of anxious about this, pretty intimidated by the prospect of being a business guy doing engineering. And what he told me, and I ultimately think this proved true, is that you don’t have to be an engineer in Silicon Valley to have an impact, you just have to be able to think rigorously like an engineer does. I think the training, that you’re doing here at Yale, and then the potential training of investment banking, both have the potential to serve you well in that respect. So, what we’re trying to do at Facebook is get people the power to share and make the world more open and connected. Pretty simple, in principle. And our strategy for doing this is mapping out what we call the social graph. Now, we didn’t create this. This exists out in the world, all we’re trying to do is draw a mathematical representation of it, and that’s basically who likes whom, and who likes what? And then, we push information as efficiently as possible along the edges of that ground. So, this is kind of where I spend most of my day, not just over here in FarmVille, but also over here in ads-land. And what my role is called is ”local inbound product marketing.” So, to kind of parse that out, what we mean is basically, I go and talk to local businesses, restaurants, plumbers, understand what their pain points are, what other advertising products they use, what they’re trying to accomplish as a local business owner, and then basically synthesize that with data analysis, and ultimately present it to the engineers as a case for what we should build next. So, these are questions like, what do the ads that you see on Facebook look like? How should they interact with the rest of the product? How can we target them to make them more relevant? Whole bunch more. The real guiding precept here is that, it’s basically what Henry Ford said, right? He didn’t want to build the faster horse, even if that’s what his clients might have asked for, he wanted to build something that was dramatically more useful, and for him that was a car, and for us it’s something that we call social advertising. I am happy to chat a little bit more about that during questions, if folks are interested. So finally, just to kind of compare these two roles, and how one might have prepared me for the other, I think the three things from banking that have served me best working on internet products are: One, this cross function of process management, which is a ubiquitous part of the business world. Two, building polished presentations, this one notwithstanding. And three, being resourceful about tracking down data points to help make the right decision. On the other hand, there’s some parts of the job that were totally new. Thinking from the mindset of the CMO, the chief marketing officer, rather than the CFO, the chief financial officer, just the pace of the environment, banking is fast-paced, but the rate at which products evolve in the internet is dramatically faster. And the fundamental job itself, which is basically creating new products, building the business case for them, validating that case with data, trying to actually mock them up–and I assure you, I’m not good in Photoshop–and then actually use those mocks and that case to inspire engineers and product managers to want to build them. So, it’s an environment that is much more ambiguous. The yardsticks for whether or not you’re going in the right direction, especially in the short term, are not nearly as clear. But if that’s actually something that’s appealing to you, then I strongly encourage you to check out jobs around Silicon Valley, and especially at Facebook. So, you can actually go to facebook.com/careers–quick plug–to check out about the internships and the full time jobs that we have available. So, Professor Shiller, did you want to use the rest of the time for questions. Professor Robert Shiller: Well, yes. I’m opening it up to all of you for questions. OK, you have a question back there. Jon Fougner: I caught some of that, and then the screen caught some of it, so just bear with us for one second, and then I’ll be right with you. You said, before I did my junior summer, what did I do? Student: Before you did your junior summer. Or how did you figure out that investment banking was the field you wanted to be in? Jon Fougner: Well, you know, I knew that some of the stuff on the right hand column of the ROI chart was stuff I was interested in. I was interested in the technical side of the work, working on math, basically, but also interested in the relationship side of it, the strategic side, thinking about basically how you help these companies vet the company decisions. And during the first week of training, one of the partners of the firm came in–and we use this term partner kind of as a term of art, because, as the professor mentioned, it’s no longer a partnership–but he came in and said, when our clients want to do really important things, they come to us. And when they want to think about important things, they come to fill-in-the-blank name of top tier consulting company. And that kind of action, and actually physically seeing the results that you create in the world was really appealing to me. And I hadn’t done Strengths Finder yet at the time, but I did it subsequently, and found, not surprisingly, that that’s where my psychological reward structure was kind of geared towards. Student: So, Peter Thiel, who was the first investor in Facebook, and is currently on their board, is now offering 20 people under the age of 20 each $100,000 to drop out of school for two years and start their own companies. And since you actually work for Facebook, I was wondering what you thought of that. Jon Fougner: Yes, I think that’s fascinating. And obviously, I don’t work with Peter Thiel. Look, I think, whatever we can do to promote innovation is great. Now, if you’re sitting here in this room and you’re saying, well, do I want to take this risk of sacrificing this signaling device of this college degree, and also potentially sacrificing some structured classroom experience, in order to rapidly accelerate, how quickly I got into entrepreneurship, I don’t know. That’s a personal decision that is for you to make, and I don’t really have any opinion on it. Ultimately, for me it’ll come down to, do these companies actually end up doing really cool things and building really cool stuff? Professor Robert Shiller: And I’d add, it isn’t as risky as you might think, because Yale will take you back, if it fails in a couple of years. Jon Fougner: One of our very early employees was a Yalie, who had had an undergraduate experience somewhat like you’re describing, where, I think, he had actually taken some time off to work on startups. I think he came back, finished his degree, and is now a partner at Benchmark, one of the firms that I had on that slide. Professor Robert Shiller: Well, while they’re thinking, can I ask you–I emphasized the core values at Goldman Sachs, and it strikes me that Facebook is totally different. Or maybe I’m wrong. Can you tell me, what are the core values at Facebook? If I were to read that list that I just gave you from Goldman Sachs, how would it sound to the Facebook people? Jon Fougner: Yes, so I think there are similarities and differences. I think, each of us has a core constituency, who we wake up thinking about them, go to bed thinking about them, probably dream about them, and know that whether or not we serve that constituency will determine the success or failure of the company. And at Goldman that was the clients. And at Facebook, our number one focus is the users and the user experience. And we care a lot about our partners, we care a lot about our advertisers, we care a lot about everyone in the ecosystem, but ultimately we know we have to serve the user as well. So, each company, I think, has almost a maniacal focus on serving one core constituency, albeit they’re different. Now, in terms of the day-to-day experience, I do think they’re quite different. I think that what I’m doing now is quite a bit more creative. Professor Robert Shiller: You’re not doing spreadsheets. Professor Robert Shiller: You’re doing it, still. Jon Fougner: Yes, not as much. And I really love the creative side of the work. If you think back to Stephen Schwarzman’s lecture, where he mentions that there’s no flexibility for getting the numbers wrong, I mean certainly we feel the same way, all the analysis needs to be correct, but there’s almost an ominous tone, when he says that, whereas the way that we operate is knowing that we have to move really fast in order to continue to innovate, continue to stay relevant. And so, that means that sometimes you make mistakes, and it’s no secret that we’ve made mistakes, and some of them have been big mistakes. And we just try to minimize the number of times that happens, try to fix them as soon as they do happen, and just be honest about them, and admit them when we make them. Professor Robert Shiller: Can I ask a question of the class? You set the example. How many in this class are engineering majors? Not many. Like 5% maybe. What about science majors? That looks like 10%. See, you’re kind of in an engineering company, right? I mean, I don’t know exactly what Facebook is, but is there some kind of division here? Why aren’t there more engineers in this class? Jon Fougner: That sounds like a question for the class. Professor Robert Shiller: Well, I can’t ask them, because they’re not here. Jon Fougner: All the engineers, who are not in the room, why are you not in the room? Jon Fougner: Look, I think that product design and software engineering is at the heart of the company, but as I mentioned, I was pretty intimidated going in and saying, huh, I’m going to be a business guy here. Am I not really going to be able to have an impact? And I think the things that are important for the business people are: one, to remember what the core mission of the company is, which for us is really all about the users; two, to have a sense of what is feasible. So, you don’t actually have to know how to write the code, or even necessarily how to mock up the product, but if you’re making recommendations that we should build things that are simply technologically not feasible, you’re going to waste people’s time and lose credibility pretty quickly. And then, three, I think, when you do the analysis, engineers are going to want to see as rigorous analysis as possible, quantitative analysis when that’s relevant, when that’s possible, and to the extent that you can bring that to the table, I think that’s helpful. If you think about the business world at large, one of the things, that’s just going to be increasingly important, is the ability to design, conduct, and interpret statistically significant, valid experiments. And this sounds like a pretty straightforward thing, that you might learn by maybe second or third year of college, and yet you get out into the business world, and you’ll find that many of your colleagues, whether they’re coming from MBAs or other backgrounds, may not actually have that background. So, being able to bring that sort of rigor to the table, whether it’s at a consumer internet company or an industrial company, anything else, I think is very helpful. 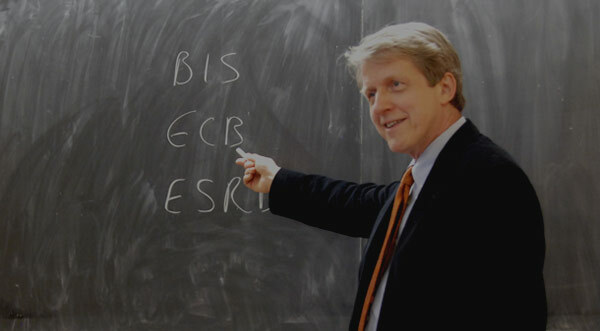 Professor Robert Shiller: You know, I’m thinking, maybe I should change the name of this course to Financial Engineering. That would bring in the others. Because to me, engineering and finance have a certain connection. They’re both designing devices. I think, we have another question. Student: Have you thought of going back to graduate school, and how do you see that playing into a career like investment banking? Jon Fougner: Yes, I have thought about going back to graduate school. I think that all of us want to be lifelong learners throughout our career. There’s a number of ways you can do that. Graduate school is one of them. Another is, going into industries where you’re just confident that everyone you’re working with is really smart, and they’re going to push you hard, and not settle for mediocrity, so you just know you’re going to learn by that pressure and that osmosis. And then, I think, there’s some kind of simple, structured things that you can do, as well. I threw a slide up of a couple that you can do in the comfort of your own living room–the Meyers-Briggs and Strengths Finder. But then also, you can leverage having a workplace to do things like peer coaching, career coaching, executive coaching. So, I kind of take a somewhat agnostic point of view as to which of these tools I’m going to use at any given time. I just know, that I constantly want to be challenging myself and constantly want to be learning more. Student: I’ve heard a lot about issues with click-through rates on various social networking sites, so if you could talk about, what you think the putative value of Facebook should be, and whether the current valuation is appropriate. Jon Fougner: Yes, so, I’m happy to share a little bit about click-through rates. I’ll probably defer on the question of how much the company should be valued at. Is everyone familiar with what a click-through rate is? No, not everyone. OK. So, this is just a simple ratio. Let’s say, you show an ad some number of times to users on the internet. It’s the ratio of the number of times the user clicks on that ad to the total number of times you showed it. So, if you show an ad 100 times, and you get one click, you have a 1% click-through rate. And if you think about, well, why are people advertising? In marketing there’s kind of this concept of this marketing funnel, which is a little bit silly, but it actually conveys a useful concept. Up here is everyone in the world, and then here is the people we can actually make aware of our product. And then here is the people who we can actually make have an affinity for our product. And here is the people who we can actually make consider purchasing our product. And then people who actually buy it, and then repeat, loyal customers who buy it more and more. So, we get to a narrower and narrower pool. And what marketers are constantly trying to do is, push people through this funnel, so they can actually start with someone who may not know about the product at all, and then actually get them to buy it again and again. So, marketers use a variety of different tools. Online advertising is one, but that represents maybe 15% of the market, but it’s a relatively new one, and there’s plenty of others that go back decades or centuries. Things like television, radio, print. These different media play different roles in getting people through this marketing funnel. And if you think about where online advertising originally grew up, it was really towards the very bottom of this funnel. Of, OK, I am looking for a blue iPod at the best price, that I can either order online or that it’s within five miles of my home. So, I search that on a search engine, I see a list of vendors, and in that case, it’s really important whether I click through, because that’s basically determinant of whether or not we get them through the next stage in the marketing funnel. If you think about Facebook advertising, that is one of the roles that it can play, but it can also actually play throughout this entire marketing funnel, where we have a reach of 500 million people, and then you can target within that. And then you can use things like social context, telling you that your friend might really love a product, to help build your affinity for it, on through this whole funnel. So, for some of it, click-through rate is relevant, for other of it, click-through rate really isn’t relevant, and you need to think about other sorts of measurement. Things like companies like Nielsen do. Like polling people and asking them, OK, you saw this media, did it increase your likelihood to buy this product? Or did it make you aware of the message, that the brand’s trying to convey, that you weren’t aware of before? I think, it’s one of a number of metrics that go into assessing the health of the business as a whole. Professor Robert Shiller: I think we’re essentially out of time, but let me just say, click-through rates and marketing sound profit-oriented, but it seems to me they have a social purpose–one thing is that capitalism is being transformed by this kind of thing, because it gets people to buy things that they really need. It’s like your Strengths Finder or Needs Finder. And I have to applaud Facebook and other companies. Finally, I’m going to invite you back in another 10 years. This was great.